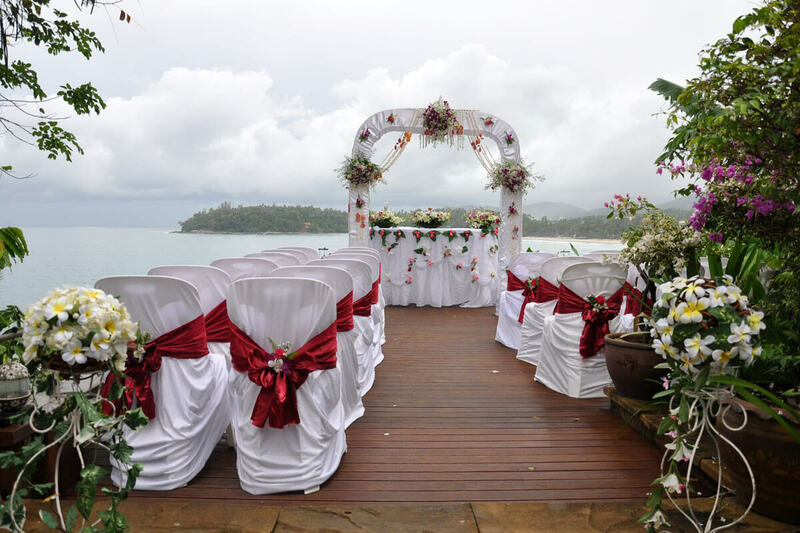 Would you like to have a private wedding ceremony? Shall we recommend you “Villa Wedding”? Here in Phuket and all other resort base cities in Thailand, we can provide you a variety choice of luxury villas. After the ceremony completed, the couples may have a little wedding party with their guest inside the villa. Short Description: Here in Phuket and all other resort base cities in Thailand, we can provide you a variety choice of luxury villas. After the ceremony completed, the couples may have a little wedding party with their guest inside the villa.